On September 12, South African paralympian Oscar Pistorius was found guilty of culpable homicide in the death of his girlfriend, model and law graduate, Reeva Steenkamp. Acquitting Pistorius on the charge of murder, Judge Thokozile Masipa handed down the manslaughter-equivalent finding in the North Gauteng High Court. Pistorius, 27, was released on bail and will return for a sentencing hearing on October 13. 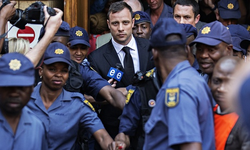 Oscar Pistorius leaves high court in Pretoria September 12, 2014 following the verdict. Image Source: Getty Images. Judge Masipa ruled that the state failed to prove that Pistorius had the requisite intent necessary to warrant a guilty finding for culpable murder. “The evidence failed to prove the accused had intention [to kill],” she said. “The accused had the intention to shoot at the person behind the door, not to kill.” Pistorius has always maintained that he mistook Steenkamp for an intruder when he shot her four times in his home. A number of top legal experts have been critical of Masipas’ ruling and legal reasoning. Masipa’s interpretation of dolus eventualis , and her judgment that Pistorius was not guilty on a charge of illegal possession of ammunition, has sparked intense debate. Many outspoken pundits have taken this criticism one step further, attacking Masipa personally and questioning her qualifications as a member of the judiciary. 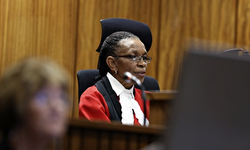 Judge Masipa delivers her judgment in the Oscar Pistorius murder trial. Image Source: Reuters. The future of Pistorius’ in career remains uncertain. Following the verdict, Nike terminated Pistorius’ endorsement contract. However, Pistorius may still be free to participate in the 2016 Paralympic Games in Rio de Janeiro. Chris Spence, International Paralympic Committee spokesperson said that as long as Pistorius had served his sentence, the Committee “wouldn’t stand in his way.” Pistorius’ agent and manager, Peet van Zyl, has also announced that the athlete plans to release a book detailing Pistorius’ version of the events following Valentine’s Day of last year. Until the sentence is announced next month, however, all plans for the paralympian remain on hold. Pistorius potentially faces up to 15 years in prison and the National Prosecuting Authority could potentially appeal the ruling. Section 310 of the Criminal Procedure Act allows the state to appeal a not-guilty verdict on “any question of law.” NPA spokesperson, Nathi Mncube said Friday that they will wait until after sentencing to decide whether to appeal. What continues, however, is prolonged unrest in a country thought by many to still harbor racial bias in the legal system. Breann Plasters is a 3L at the University of Denver Sturm College of Law, and Executive Editor for the Denver Journal for International Law and Policy.